High Quality double walled insulating bottle made of stainless steel with a White enameled exterior. The beverage remains hot or cold for hours. 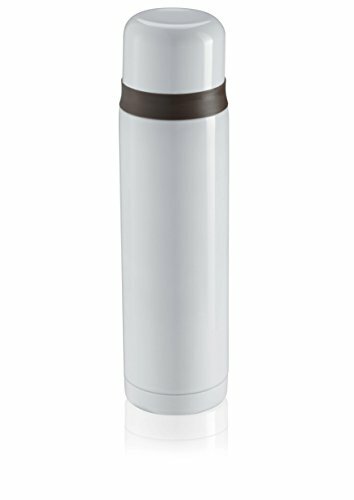 A handy and slim design with a two-piece stopper for non-drip pouring.